For many Americans, their garage doors can see a lot of daily use. 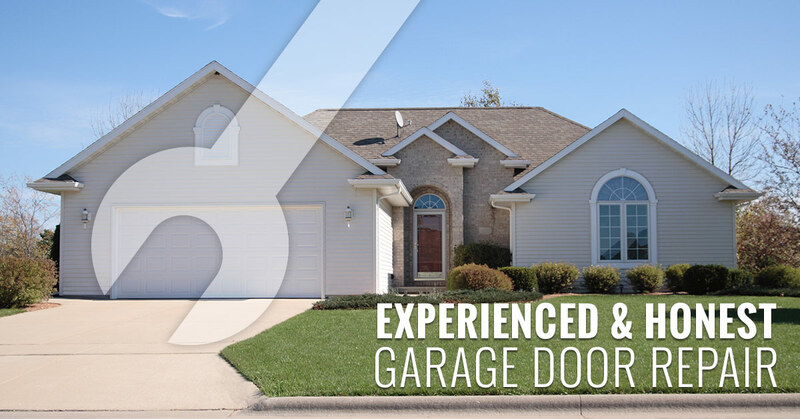 Unfortunately no matter how well you maintain your garage doors, parts eventually wear out, accidents happen, and at one point, you’ll need a garage door repair. This can be especially problematic if you rely heavily on your garage door, or if your vehicle is stuck when your garage door breaks down. A & H Garage Doors can help with all of your garage door repair needs, whether your garage door won’t open or if it has difficulty closing. A & H Garage Door Services provides prompt and courteous garage door repair services for garage doors and garage door spring repair in throughout Northwest Arkansas. A & H has serviced thousands of garage doors and garage door openers in Benton and Washington counties throughout the years. 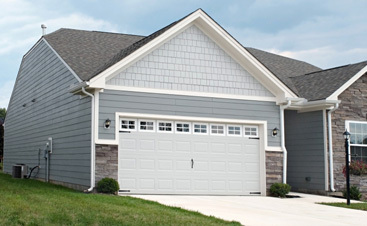 A & H uses high-quality parts on all of their garage door repairs and replacements. We understand how important it is to pay attention to all of the little details along the way. You can rest assured that your garage door is in capable hands with A & H’s prompt and personal service. Additionally, all of A&H’s garage door repairs come with a one-year guarantee*. Should anything happen to the work, whether it’s a faulty part or repair, A& H’s Garage Door Services will be there to fix it. Simply call 479-636-7658 to schedule an appointment. 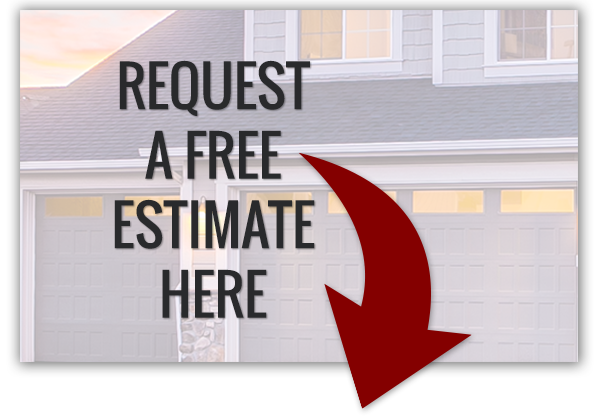 A & H provides speedy response and affordable garage door repairs with free estimates for those moments when you need it most. Same day service is available. 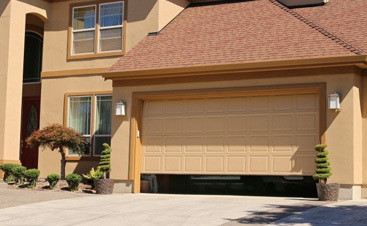 A & H Garage Door Services is your local expert on garage door repair, garage door spring repair and replacements as well. We have helped many homeowners in Northwest Arkansas with their garage door repair problems. First, there is the doors track system. The garage door rolls up and down this track. If it is bent or not properly lined up, accidents are bound to happen. As the garage door moves through the track, rollers can pop out of the tracks and cause the door to fall. Additionally, if the horizontal track is cracked or kinked, the weight of an open door can cause the track to buckle and again the door could collapse. There is also the garage door panels, or sections. With every opening and closing of the door, they are flexed and twisted. This repeated action causes the sections to bow and eventually crack. Strong winds and collision by a vehicle or other object can cause instant damage, or just speed up the process. The good thing about sectional type garage doors is that individual sections may be replaced without having to purchase a complete new garage door. Third, are the hinges and rollers. Every time the garage door opens and closes, the hinges bend and twist, which eventually will cause the hinges to crack and break. If they are not replaced immediately, this can cause more extensive damage to the garage door. With the rollers, many rollers are metal and have ball bearings. These ball bearings wear out and the rollers do not move freely in the track. This causes the door to be dragged and pushed open and closed, which will cause your garage door opener to wear out. 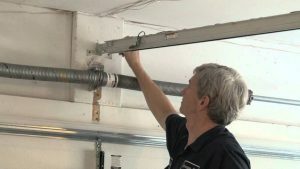 This is when garage door spring repair is necessary. Then there is the spring system, which does all of the lifting of the garage door. If a garage door spring breaks, you may not be able to get your garage door open. There are several types of garage door springs, and even more sizes of springs. 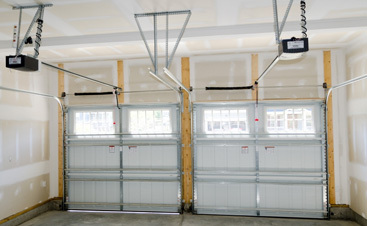 It is extremely important to put the proper spring with the proper tension on your garage door. Too strong of a spring will cause the door to not stay closed, and be difficult to even get closed. Too weak of a spring and your garage door opener may be over stressed and wear out prematurely, or your door to not stay open. For garage door openers, there are variety of problems as well. Whether your safety sensors are not functioning, or are misaligned. Plastic gears wear down, especially if your garage door has not been properly maintained or is not working correctly. Capacitors and circuit boards burn out, and chains and belts need to be adjusted for proper tension or they may slip or drag on the garage door. Even emergency releases can jam and cause the trolley to not re-engage. If you find yourself struggling with these issues, don’t hesitate to contact A & H Garage Door Services for garage door spring repair and more.